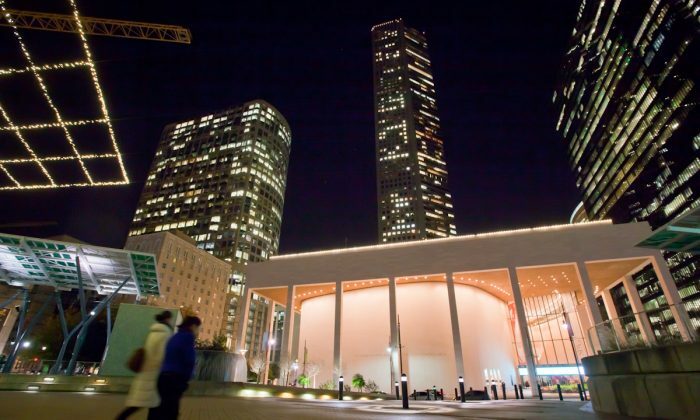 HOUSTON—Joyce Echols, designer of high-fashion footwear that merges Texas style with Italian craft, was impressed with Shen Yun Performing Arts. “It is elegant and interesting and beautiful to watch,” she said after seeing the performance at Jones Hall for the Performing Arts, Jan. 7. Shen Yun is a classical Chinese dance company founded with the mission of reviving authentic Chinese culture. For thousands of years, Chinese culture was imbued with spirituality and valued principles like compassion, propriety, tolerance, and reverence for the divine. She also enjoyed the dancing. “The dancers are very graceful, very precise and elegant and lovely,” she said. I am inspired by the show. She said that although her designs are very different from what she saw onstage, seeing the performance lit a creative spark. “I am inspired by the show,” she said. Anther highlight of the night were the mini-dramas that retold ancient legends, classic literature, and modern tales of courage. “There is more of a story, the history, than I thought it was going to have. … It is very nice,” she said. This year’s Shen Yun performance starts with a scene in heaven before Chinese civilization began on earth. The performance ends with a piece from contemporary China, and in between, dance numbers retell myths and stories from classic Chinese literature. Dancers also perform folk dances from China’s distinctive ethnic groups.